How Do The Moon Phases Influence Leo? The next full moon will occur in Leo on January 21, 2019; this day will be full of inspiration so use this opportunity to move on with your most ambitious projects! Don’t waste time on small talks and performing routine tasks. Instead, arrange a dinner party under the full moon and brainstorm your strategies. However, be careful of the reverse of the coin, too.  Leo is the sign that is known for its love for everybody’s attention and appreciation. It means that when the full moon is in this sign drama is somewhere close, too. Lunar love can rush to your head making you forget about other important things, so try not to let it happen to you.